Students from the small New York state town of Sleepy Hollow have some big plans. A group of middle school students in the Environmental Action Club have started a grassroots campaign to ban plastic bags in their hometown. They got the idea from the neighboring city of Rye which recently put a bag ban in place and from the movie ‘Bag It,’ a documentary about the environmental effect of plastic bags. Their efforts have attracted the attention of the mayor, Drew Fixell, who paid the club a visit to discuss the pros and cons of such a ban and what steps would have to be taken to make a ban a reality. This insight and guidance has given the students’ knowledge and direction to help them navigate the civic and social aspects of turning an idea into a law. In the meantime the students have been doing their part to encourage their peers to trade-in disposable bags for reusable shopping bags. Initially the Sleepy Hollow students were purely motivated by the environmental impact plastic bags have on the environment. While the environmental fallout can be staggering, there are other ramifications and considerations of banning plastic bags as the students are about to find out. Manufacturing plastic bags is big business and banning disposable bags, or even charging a tax which severely limits plastic bag usage, will reduce demand. If there is no longer a demand for the product the companies that manufacturer disposable bags will lose business. This in turn can lead to layoffs and downsizing. Organizations that produce plastic bags and oil companies are quick to play the job loss card in anti-ban campaigns they stage in areas contemplating a ban because they want to continue to bank on the average American using 300 – 700 plastic bags a year. Creating a stir that banning bags will cause people to lose jobs is a ploy designed to squash the ban and preserve their business. The hope is that people will value these jobs over the negative aspects of plastic bags, like the toll they take on the environment. The reality is that bans may cause jobs manufacturing plastic bags to diminish, but there will be increased demand of reusable bags that will create new manufacturing jobs. These news jobs will offset the loss of other jobs. People really need to take a hard look at the cost of plastic manufacturing jobs. Is it worth keeping those jobs around if the consequences outweigh the advantages? Despite everyone’s best intentions a percentage of the plastic bags created will end up as litter. Millions of dollars of tax payer’s money is spent cleaning up this litter. CalTrans, the government organization responsible for California’s roadways, reportedly spends about $50 million a year cleaning up litter on the Golden State’s freeways. This work is in addition to the efforts exerted by volunteers and organizations, such as adopt-a-highway, that attempt to clean up the mess. Sadly, if it were not for these volunteer groups the bill to cleanup California’s freeways would be even higher. When municipalities have to invest time and money cleaning up litter that means they may have to pull resources from other areas or they will have less manpower and/or money to dedicate to other endeavors, like public transportation, schools, or social services. It is not just governments that feel the crush. Good Samaritans and volunteers who pick up roadside trash and pluck discarded bags out of rivers and streams could find other causes to support and give their valuable time to if there was no rubbish and debris, which largely consists of plastic bags, to pick up. In addition to the obvious cost of litter that comes from picking it up, litter also prevents money from coming in. Cast off plastic bags tumbling down streets can cause property values to plummet. When a once thriving neighborhood is buried in trash people who live there lose a sense of pride and community, this can make it difficult to sell homes in the area and it may even lead to increased crime. Revenue from tourism is also shot when litter gets out of hand. Clearly banning plastic bags will not turn neighborhoods around and the amount of litter is not directly proportional to the level of crime; however, plastic bags contribute to litter and over time litter can begin to tear down a neighborhood. There is some upbeat data concerning plastic bag bans. Most shoppers take the plastic bags that are handed out at the checkout line for granted. The stores that buy these bags for their customers do not. The expense of buying plastic disposable bags is factored into the prices of goods sold in the store and customers ultimately pay for the bags. 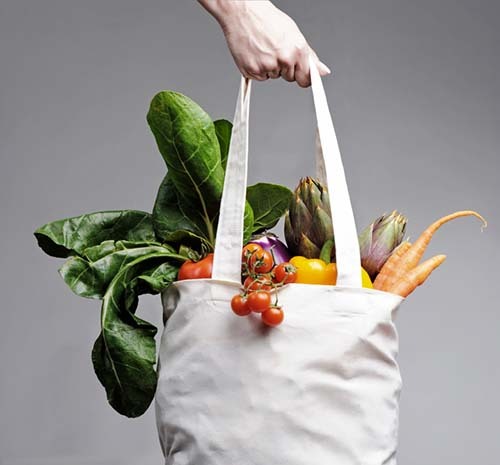 Stores such as Whole Foods, Kroger, and Giant give a credit to customers who bring a reusable grocery bag. The logic is simple, if the customer is not going to use the plastic bag the store already charged them for than they give the customer a break and credit the final bill. It depends on the store, but shoppers can save 3 to 10 cents for each reusable bag they use. Overtime the pennies and nickels saved by bringing reusable bags to the checkout add up and will cover the cost of purchasing the reusable bags; after that the bags can save you money at the supermarket. When a ban is put into place store owners no longer need to buy disposable bags so instead of giving a credit to pack your groceries in reusable bags the store may lower prices. The decrease will be slight, but overtime it can add up and allow your grocery budget to stretch a little further. There is a long road ahead of the Sleepy Hollow students, but they are focused and know what they want to achieve. They also know they need to arm themselves with knowledge about the impact plastic bags have on their local level and the global society. It is really great and inspiring to see students taking an active role in banning disposable plastic bags. If they can change policy today than they will be ready to tackle even bigger issues tomorrow. For more info about the students of Sleepy Hollow and their efforts read http://www.thedailytarrytown.com/news/tarrytown-students-want-plastic-bag-ban-be-law. To learn more about CalTrans check out http://www.dot.ca.gov/hq/paffairs/news/pressrel/10pr17.htm.